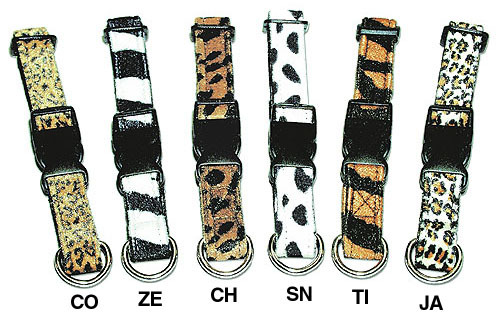 Faux fur and printed patterns adorn these fabulous animal print collars. Faux Fur is available in 5 different patterns. Cheetah faux fur pattern is no longer available.